I Think You're S'whale card with Joy Clair! 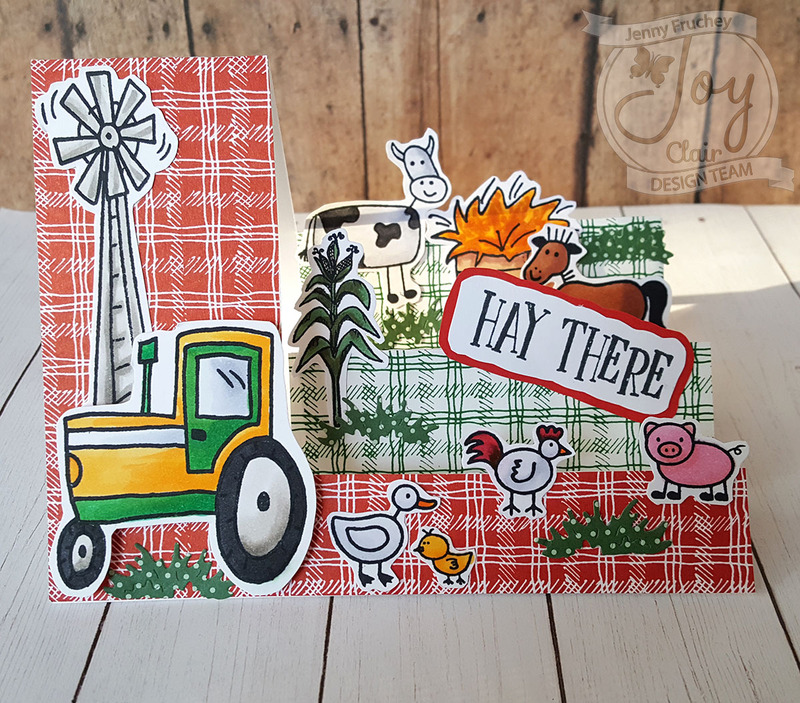 Hi, Connie here with a fun card, using the "I think you're S'whale" set by Joy Clair. It is a really cute set and has the cutest sentiments ever. A masterpiece of word play. The background, for the card, was created using Distress Oxides and watercolor paper. The sea moss was stamped on white cardstock, colored with alcohol markers, and then cut out. The sea shells were stamped, on the background (sand), and then colored in with alcohol markers. The water bubbles were also stamped on the background (water) and then colored with alcohol markers. The whale is stamped on watercolor paper with black archival ink. The image is colored with Distressed Oxides, the blue tones. The mouth was converted into a heart and painted with red acrylic paint. The finished card front was speckled with black and white acrylic paint. The card front was matted on blue cardstock and then a brown folded card base. Twine was added to the bottom of the card. Hi there, Martha Lucia here with you! Spring is here and I have it in a box! 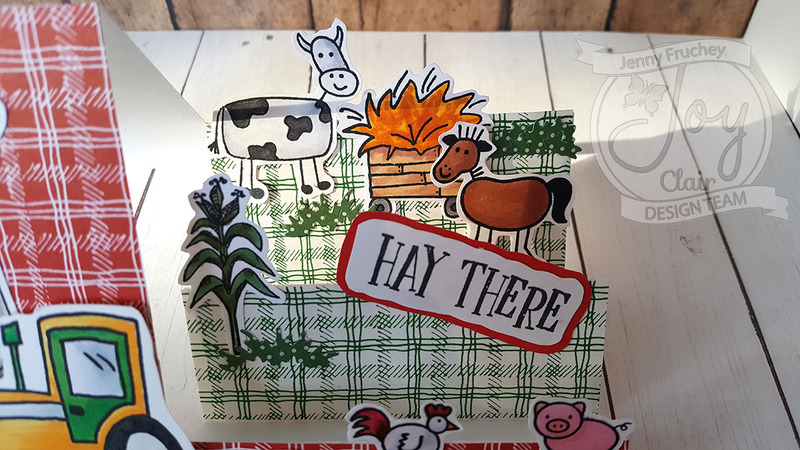 I am combining two products on the creation of this box, the first is the Popcorn Box Template File from The Cutting Cafe and the other is the Spring Stroll Stamp Set from Joy Clair Stamps. Make this kind of projects is fun because you stretch your stamps and fly with your imagination. I love to make 3D's but during the last months I totally left it in a side and now I am really enjoying my passion. I have a complete step by step tutorial of this project HERE on my Stampartpapel Blog and don't think that you need an electronic machine to cut your files. No, you can easily made all that you want just with your scissors! Hello everyone, Martha Lucia here for you!!!! 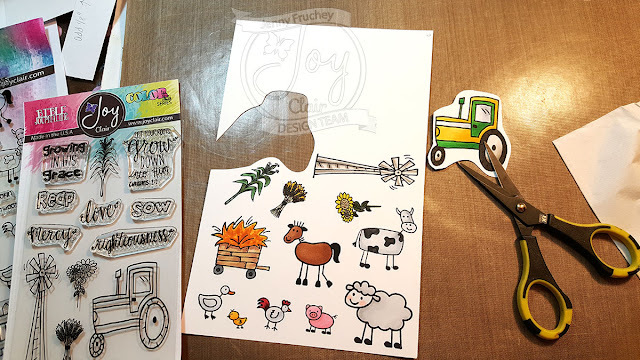 Today I want to feature two stamp sets from our most recently collection. I decided to create a card with the Easter Greetings and a bible journaling page with my new favorite Reckless Love. 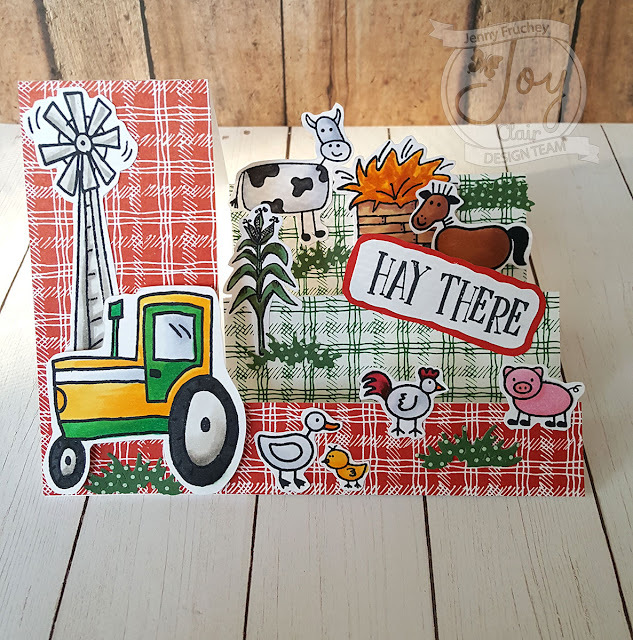 To make this card I used two different techniques that I am sharing on my blog with more details. I am sure that you will love them because they are quick, simple and the best, beautiful. For my bible journaling, I followed a great tip that my friends Lindsay Adreon and Amanda Cate shared with me about of how to use Gesso on my pages, and I will love the result. You can see all the details about I am talking about HERE in my STAMPARTPAPEL Blog. And believe me you need to try it if not are doing! I will wait for you on my blog and remember that ALL FEBRUARY our stamps are 25% OFF using the code SHARE25, and we have a new release that I defined as perfect release! To see the new stamps just click HERE and to see the entire store and personalized stamps click HERE! 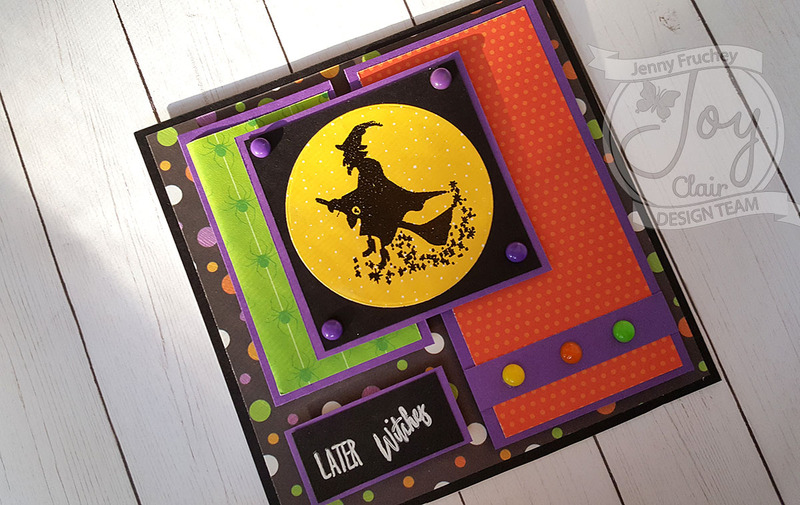 Jen's Crafty Place with a Halloween card, "Creeping It Real"!!! Jenny from Jen's Crafty Place here! 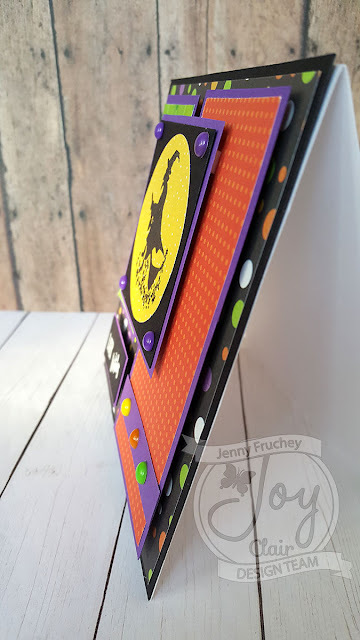 It is that time again to start making some Halloween cards!! Joy Clair has a new set called, "Creeping It Real" from the New Release. You can view the whole RELEASE HERE. I started with a 5.5 x 5.5 inch card base. I cut out a 5.5 x 5.5 inch black card stock card front. I gathered some fun Halloween pattern paper to make my card. I also found some scrap purple card stock to mat all my image boxes. I have the main square measuring 3 x 3 inch. (All measurements are for the outer boxes, the inner linings are all 1/8 inch smaller.) The right panel is 2.5 x 5 inch and the left panel is 2 x 3.5 inch. The small sentiment box is 1x2 inch. After I cut all the papers and decorative papers I adhered them all together. 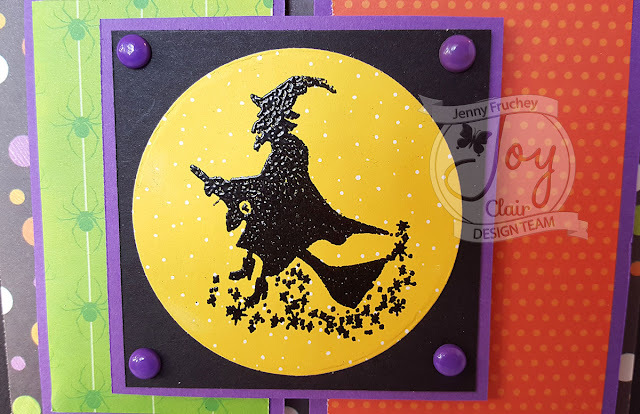 I then stamped my witch image from "Creeping It Real" with some VersaMark and used some black embossing powder on it which I heated to melt the powder. I found a circle die that would go around my image and cut it out. (I used some scrap yellow patterned paper for the moon) I mounted it on the black square and added some purple faux enamel dots. 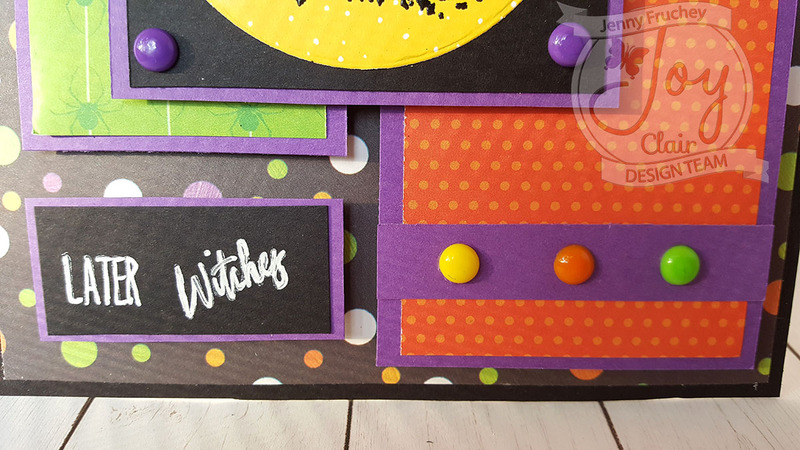 I then cut a scrap paper of some purple and placed it at the bottom of the orange paper and added some other faux color enamel dots. I added all the elements with some foam adhesive squares for dimension and began working on my sentiment. I used a light white ink to stamp the words, " Later Witches" on my black panel and used a white gel pen to go over it for a hand made look. Thank you for joining me!! I hope you love my Halloween card as much as I do!! Keep Crafting!! Don't forget stop by my blog, to sign up for my emails so you can get the newest posts right in your email!! 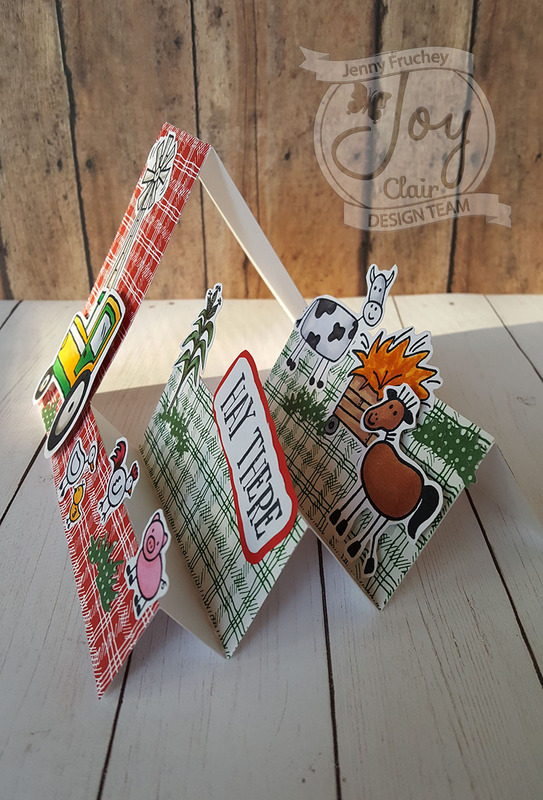 Each designer expresses her style through these different projects and the only similar thing on the cards are the Animal Party set. We hope you enjoy y celebrate with us this fabulous day. Thank you for stopping by and we hope you enjoy this inspiration and be prepared to celebrate with us our next anniversary month. Jenny from Jen's Crafty Place here with another great stamp set, "Good Vibes" from the new release! I love this set! 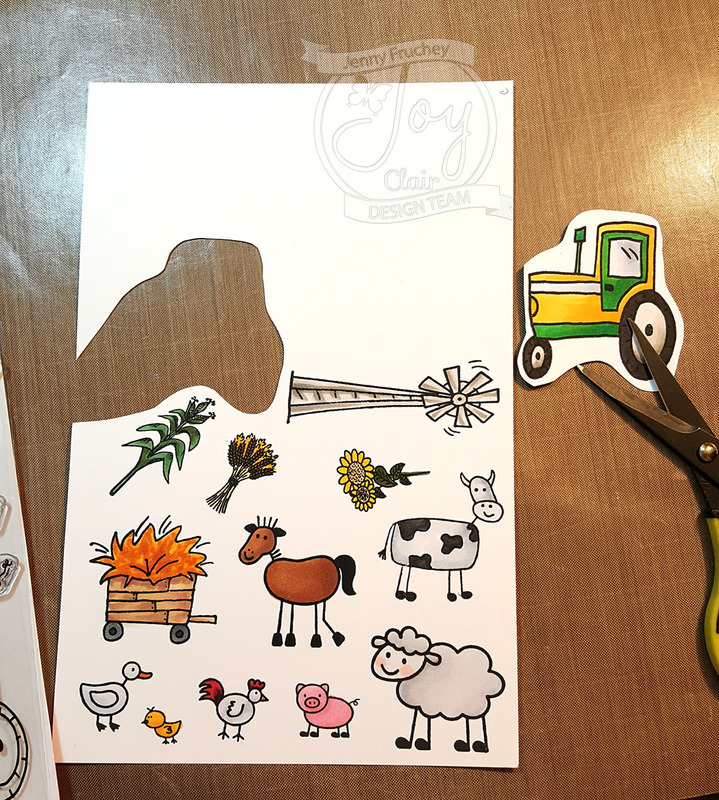 We happen to have a jeep so my husband will be getting lots of cards made with this set! The card I made today is a great inspiration card for male (or female) especially one who may own a jeep. I used some wonderful Rinea foil on this card for the jeep as well as the embellishments. I stamped the jeep on the Rinea foil and black StazOn ink. I let it dry. Next, I used a cotton swab to put some Ghost Ink on the headlights and the front window to resemble a glass reflection. ( Let it set for about a minute and then rub it off with a tissue.) It is so neat to reveal some of the silver under the gold! Cut out the jeep with scissors, carefully. Next, I worked on the decorations of my card. I cut some banners from silver and gold Rinea foil. (Actually, it is the same paper, gold is on the back and silver on the front. )Stamped my sentiment, "Life is Good" on the smaller gold banner and heat embossed it with some black embossing powder. Be careful or you can wrinkle up the foil with the heat tool. 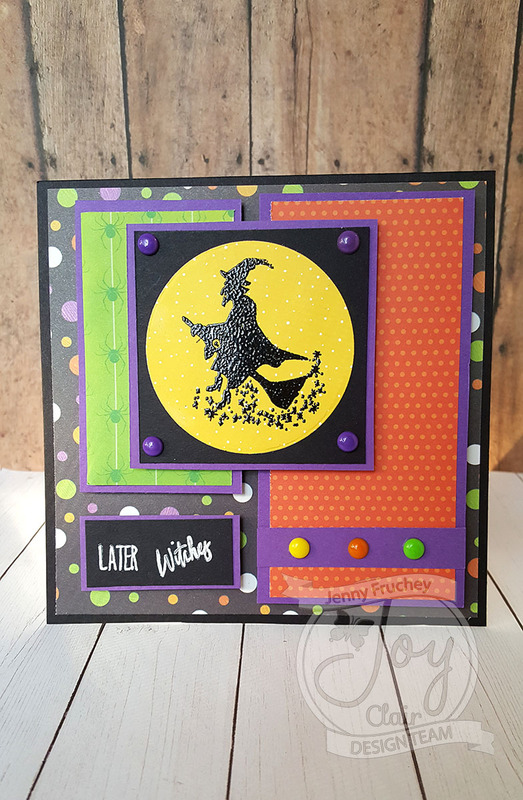 I think you can skip the embossing and just use black StazOn ink but I like to play with stuff to come up with new looks. The heat on the foil makes it wrinkle and even bubble. It is a cool thing if you aren't trying to get a crisp, shinny metal look! 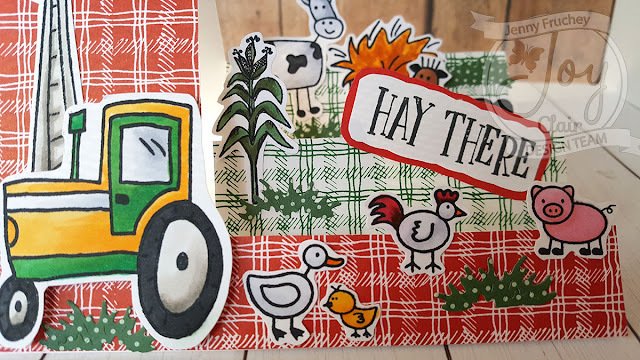 I used some texture paper for my card front, added the banners in layers with some tape runner. I only put tape on the top so I could bend the banners up a bit to give some dimension. The paper is actually foil over paper so it bends nicely. I added a silver band to the bottom of the card and added my jeep with some adhesive dots under the left and right part of the jeep leaving the middle tape free so I could bend it a bit for even more dimension. Lastly, I added the black enamel dots from a bottle and let them dry. Glue the front to an A2 card base and your jeep card is done!! Don't forget to stop by my blog and sign up for my newsletter so you don't miss any new posts!! It's Donna here with another project using the Rinea foiled paper. 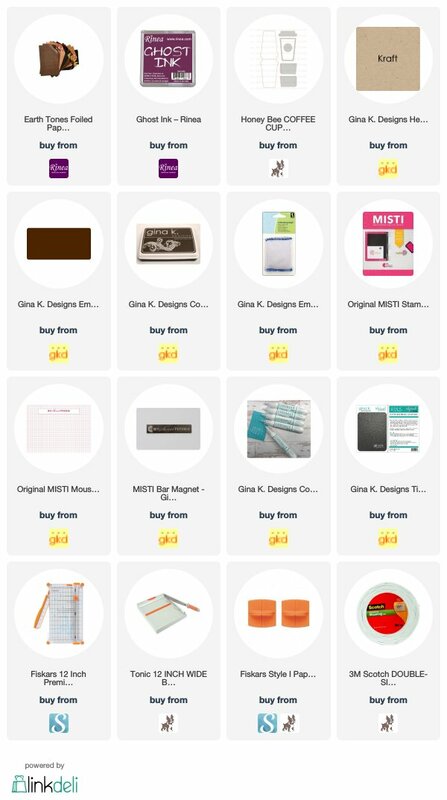 Rinea is a company that has foiled paper and other tools that can be used in any project you may have. Please check out their website for more info. 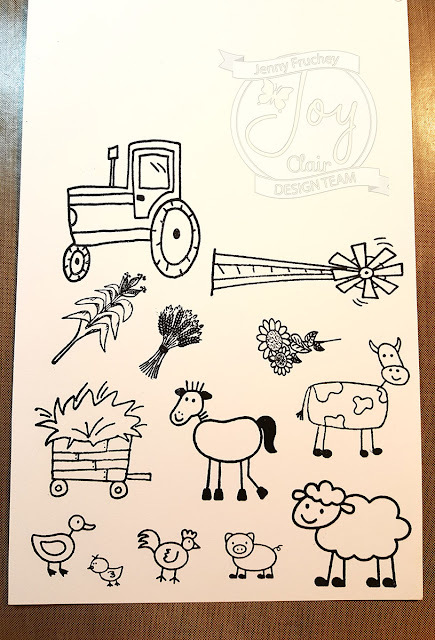 Today I am showcasing a few of the stamps which are, Joy Clair Donut Background, Joy Clair Sprinkle with Love and Joy Clair You Got This, which is part of the bible journaling line. Love the donut background stamp, when I saw it I immediately thought of coffee....what's a donut if you don' have a cup of coffee. Here are a couple of gift cards I created using the foil paper and Joy Clair stamps.